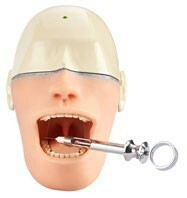 Oral Anesthesia Training Manikin head with Light & Sensor. Train & Practise on right delivery methodology of Intra Oral Anesthesia. 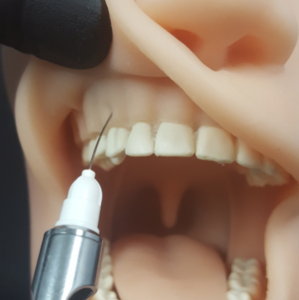 The Oral Anesthesia / Anaesthesia Manikin Trainer with Light AND Sound Sensors provides a safe and realistic experience for students to practice local anesthesia techniques.  The model consists of metal skull with flexible silicone face and mouth lining over an anatomically correct jaw with 28 permanent teeth, movable tongue, and jawbone with landmarks for placement of dry injection that can be visibly seen and palpated. Silicone will not show needle marks. 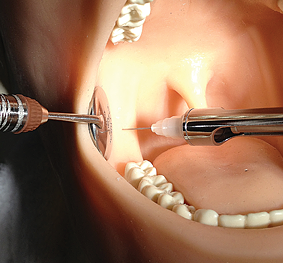 Conduction sensors aid in practicing Gow Gates and Standard Mandibular block anesthesia. Local infiltration may also be administered in their respective regions. Electronic sensors for light and sound when the landmarks are touched by dry injection are included. 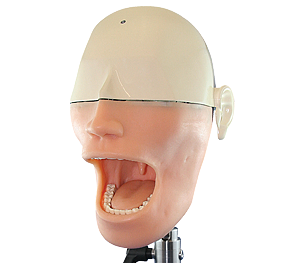 The battery powered LED light on top of the manikin’s head indicates when the correct position and angle of injection is achieved by signaling a green light. Requires three “AAA” batteries (not included). Historically dental students have been trained in the skill of administering dental local anaesthesia by injecting oranges or each other before advancing to patients. 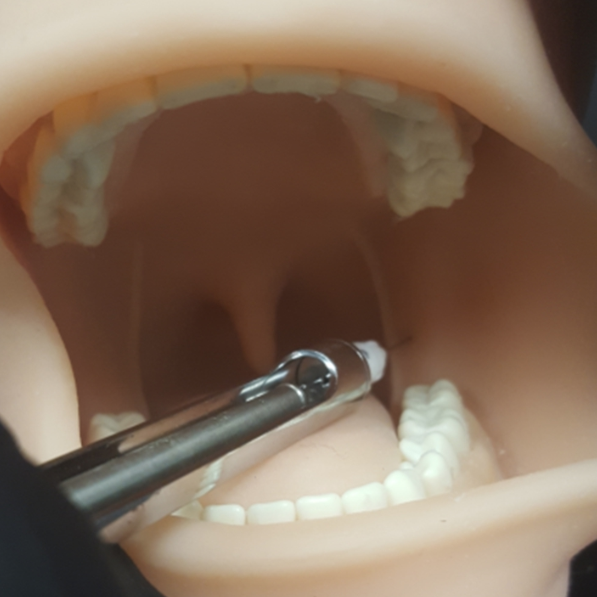 In the increasingly litigious society we live in, dental anaesthesia is considered invasive treatment and no longer seen as a skill that should be learnt in such experimental conditions amongst dental students. The new Oral Anesthesia Training Manikin was designed and manufactured in New York City and sampled by Australia’s most prestigious dental teaching institutions with excellent results. 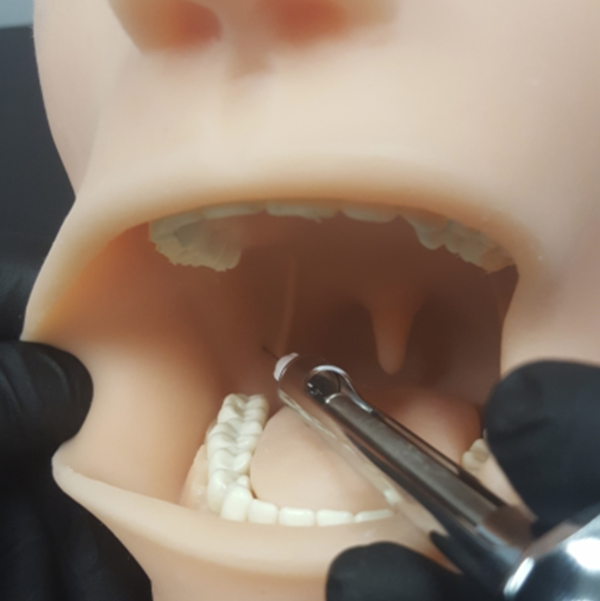 Its self-healing silicone face provides a safe and realistic teaching tool for the dental student and dental professional practicing oral anesthesia techniques. The flexible silicone skin and mouth lining is an improvement from the fragile PVC used by other LA simulators. It forms one continuous piece with a movable tongue. This superior, durable silicone is similar to that used in artificial body parts and has a memory which allows the needle to pierce the silicone and be removed leaving no signs of insertion. Anaesthetic solution or any liquid is not to be used when practicing injection technique on this manikin as liquids can interfere with the electronic.